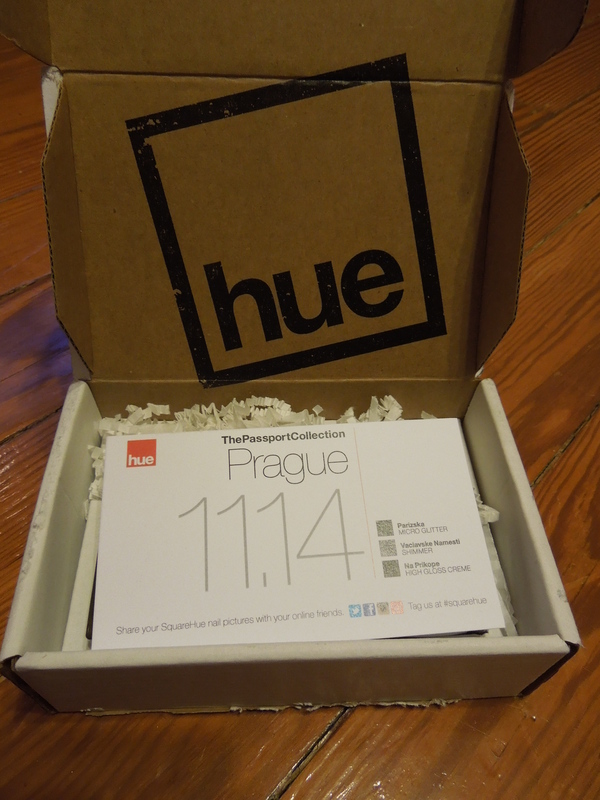 Because hundreds of bottles of polish aren’t apparently enough, I decided to try out a Squarehue subscription this year. Squarehue is a polish sub that sends you 3 exclusive limited edition colors each month for $14.99 (plus shipping). Making something awesome infinitely more awesome, Squarehue automatically gives a portion of your monthly box to their HueGive campaign which supports organizations helping others. Currently their focus is “Human Trafficking” and their theme is “Color Your Nails. Change the World.” How frick’n awesome is that? 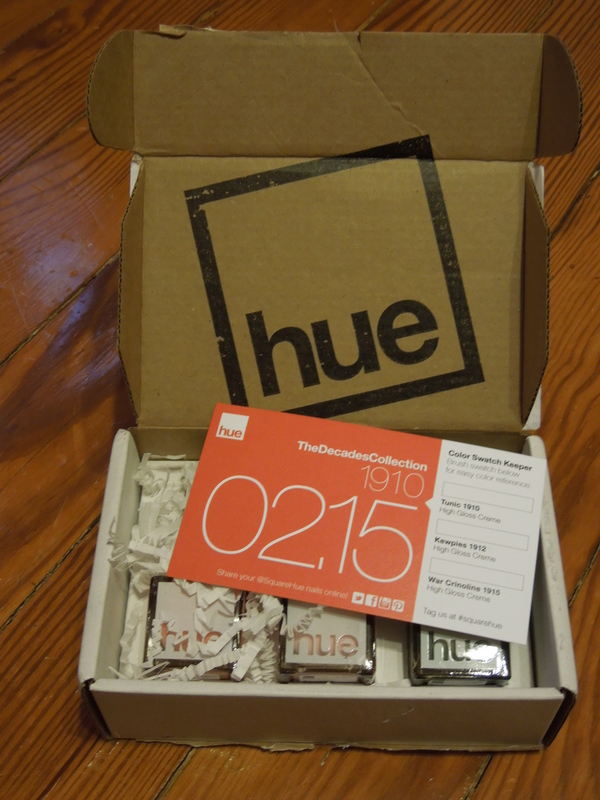 Each year Squarehue sets an overall theme that each monthly box falls under. This year is “the decades” with January kicking off the 1900s and February highlighting the 1910s. I only joined as of February so I missed out on the January box. 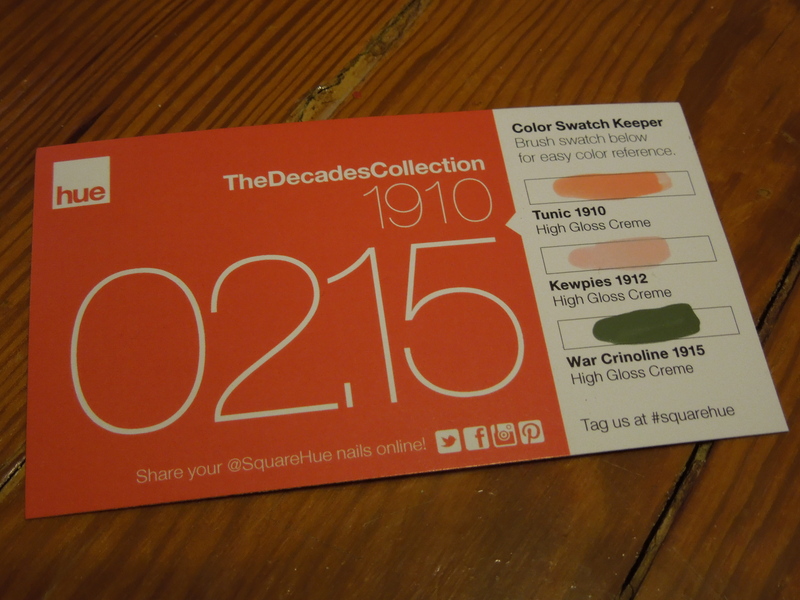 Because I’m obsessed with collecting all the decades, I contacted Squarehue’s super nice customer service and they let me make a separate purchase for January, so if you suddenly start a subscription but want one of the previous sets, shoot Squarehue an email and see if they have leftover boxes they can hook you up with. Okay now enough talk, let’s get to the polish. 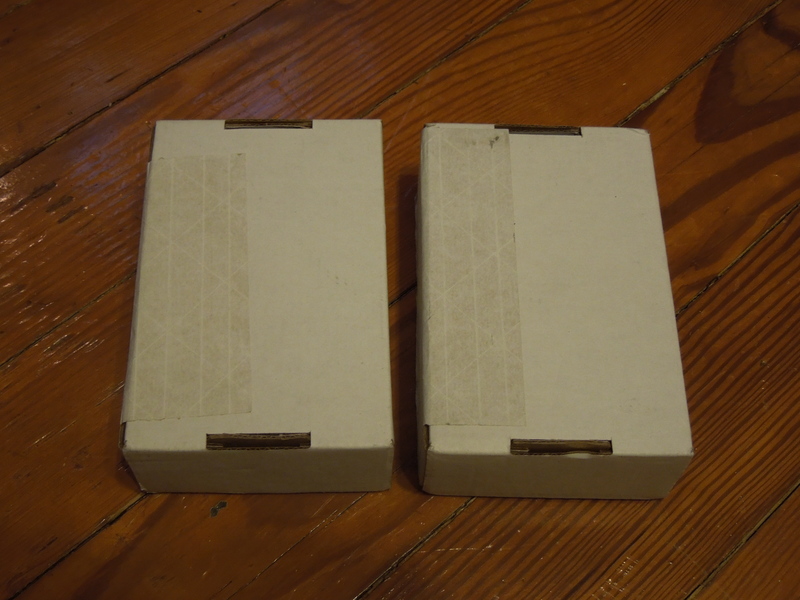 I used a coupon code that gave me a “3 set freebie” so I got two cute little boxes instead of just one. The boxes come with these adorable cards that give you info on the collection, allow you to swatch the polishes and have a cute little story on the back about the time period. I’m all about these peachy orangey shades for spring and this formula has just the right amount of sheerness. I know I’ll be using this one soon. I’m really digging Squarehue’s crème formula. It’s got coverage but is a bit sheer and not remotely goopy. 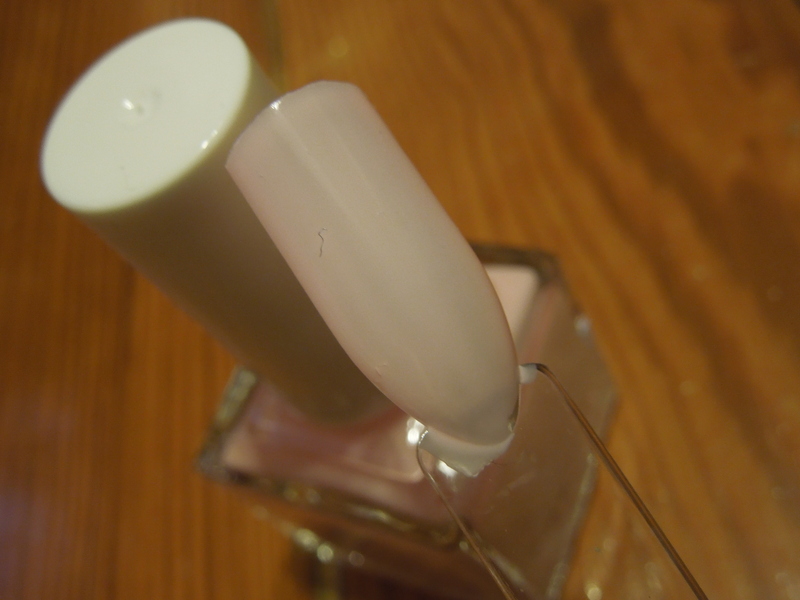 I probably wouldn’t choose this shade on my own since it’s a little basic, but it’s a lovely subtle pink that I think appeals to a lot of subscribers. Greens are one of the shades that I don’t own a ton of. I’m in love with color. 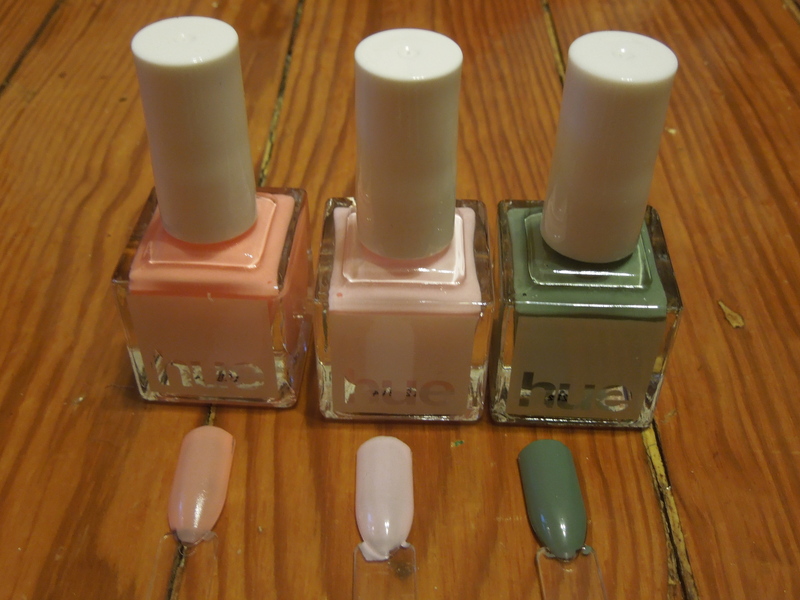 It’s an unexpected neutral and I think it’s a great winter to spring transition shade. As I mentioned earlier, I used a coupon code that scored me a freebie set. Free is always good, so this of course is a win. I didn’t swatch these because I thought I might gift them (but you know, I’ll probably give up and keep them for myself, because I am greedy and have no willpower). The shades feel very fall and are all colors I would use. 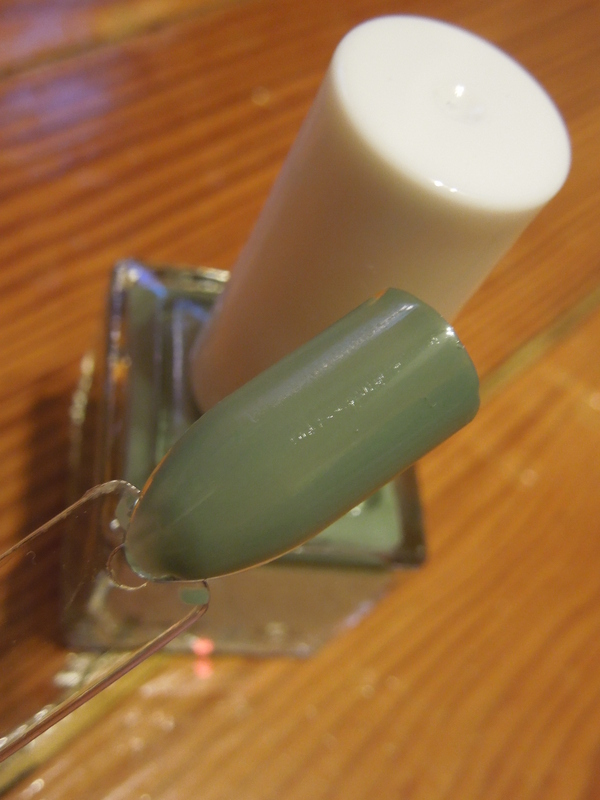 The green seems a bit close to War Crinoline but I can’t really tell until I swatch them. I paid $19.99 (with shipping and handling) for this sub and with my freebie polishes, I got SIX generously sized, limited edition shades. So far I’m enamored with the polish formula on these and super excited to see what shows up for the 1920s (my favorite decade). I’m crossing my fingers for a flapper red crème. Have you tried Squarehue? What did you think? 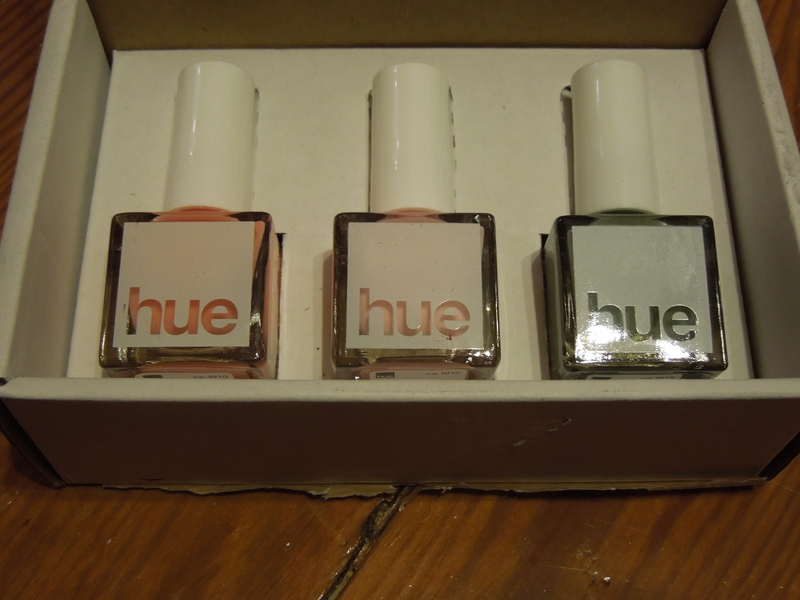 SquareHue is a monthly nail polish subscription box. 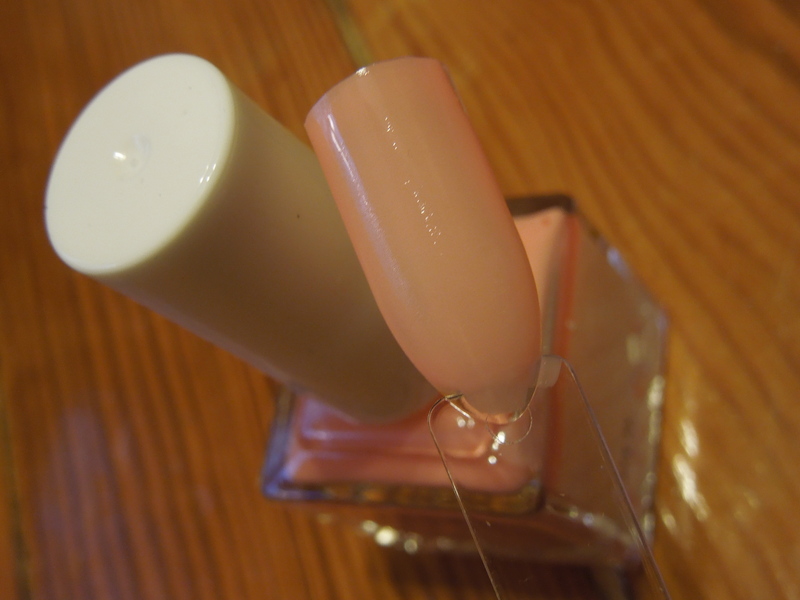 SquareHue delivers a unique, curated collection of premium nail polish colors to its style aware members. “Automatically, a portion of your monthly subscription is donated to keep us accountable to what really matters.” Currently a portion of all monthly subscription proceeds are being donated for prevention awareness, the protection of trafficked victims and the prosecution of human traffickers. I love that they have a decades theme! I might jump on board for the 80’s to get some neon shades LOL! Cant wait to see your other boxes. I have so many nail polishes or I would probably give this a go! Maybe I’ll do this as a gift for someone!! I love the themes and it seems like a really neat idea! I really loved the theme so much that I made room in my giant polish collection to keep this one for a year, but I probably won’t be able to after that. I think it’s a really nice sub for someone without polish who’d love to try out new shades. The colors look awesome! I wish I could just get those 3 colors. I don’t think it’s possible with Squarehue though! Yes it’s unfortunate that you can’t buy the polishes outside of the sub, but you may want to check the swap boards or ebay for folks selling them.